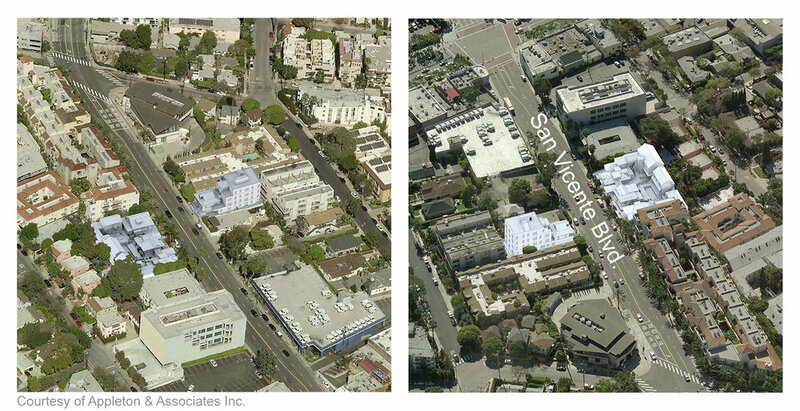 The project involves the adaptive re-use of several cottages on the site in combination with a new larger multi story hotel element on the west property and a new multi-story hotel on the east side of the property. The western development consists of a courtyard design with pools and gardens in the interior. The intent of the project is to maintain the low density character of the street fronting elements, and to develop the larger buildings in context with the existing architecture. The civil engineering design employs the latest techniques in water quality, employing several cistern for storm water capture and filtration through bio filtration devices which are tuned to release water at the precise rate required to meet state standards employed in West Hollywood. Our Civil work includes an extensive water infrastructure improvement project in the surrounding streets. We are working with the City of Beverly Hills, which supplies water to this portion of West Hollywood and with the City of West Hollywood to optimize the proposed solution, and minimize impacts to traffic and to the public during construction.